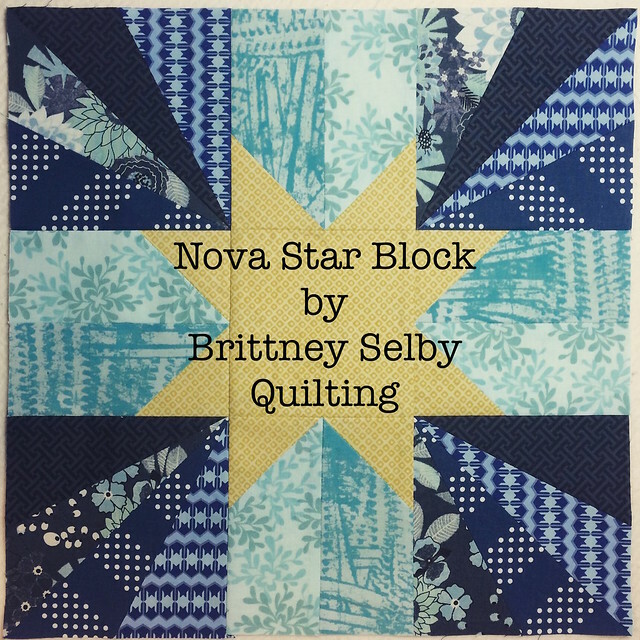 This block was inspired by the Scrappy Star block from Clover & Violet. This tutorial is mostly for the Humility Circle of do.good stitches. 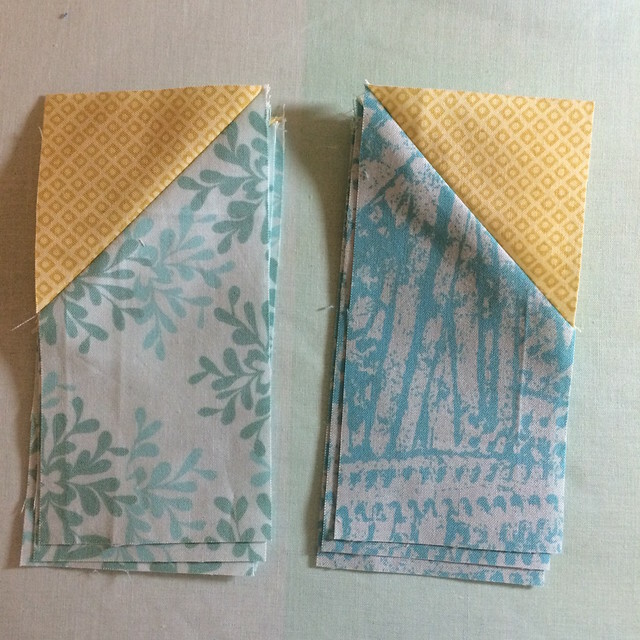 A few notes before beginning, I recommend a stitch length set to 2 since the bias edges can shift a little. Also, I press the seams open on all the block parts before final assembly, since there are so many seams. 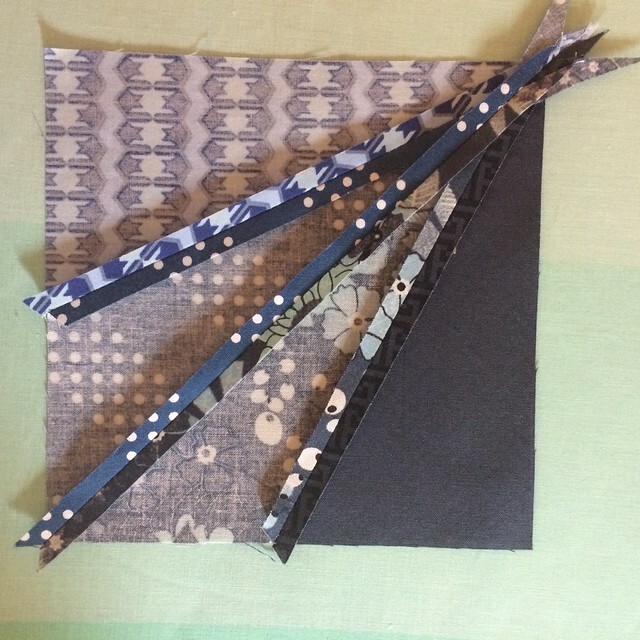 Finger pressing before pressing can reduce stretching or warping of the fabric. 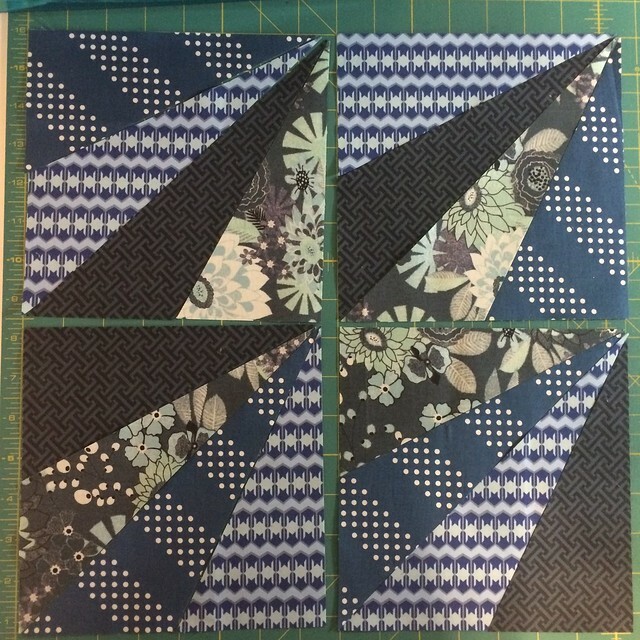 Stack the 7.5" dark blue squares and cut along the diagonal. Mark the 3.75" midpoint along the two sides and cut along this diagonal to make four triangles as shown above. Match up the triangles into 4 corner block arrangements. 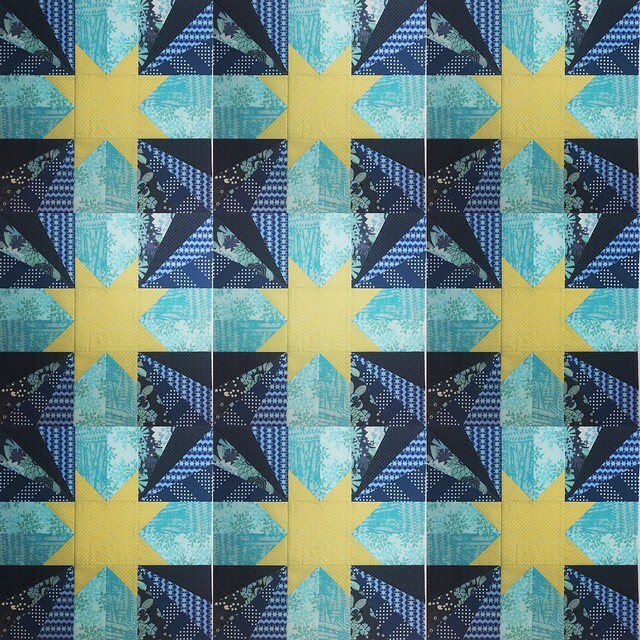 Start by piecing the two left triangles and the two right triangles together. Remember that these are triangles so the points will have to drop down to make the bottom edge straight. We will be trimming this later so the edges don't have to be perfect. Press seams open. Now piece the two triangles together to form the square. Your ruler should have a dot at 1/4". Match this dot to the top most point of the corner of the interior triangles as shown below. Align the diagonal line of the ruler with the line on the block. Trim edges. Rotate the block and square to 6". Set aside. 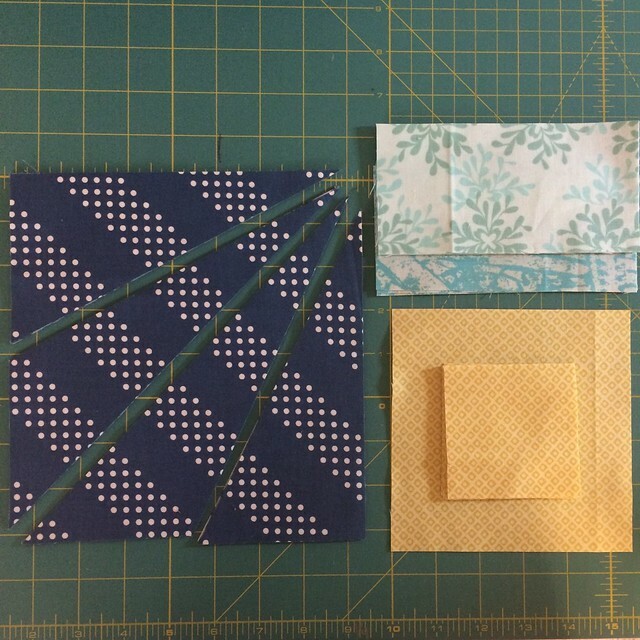 The star points are made by placing the 3" yellow squares over the 3"x 6" light blue rectangles. 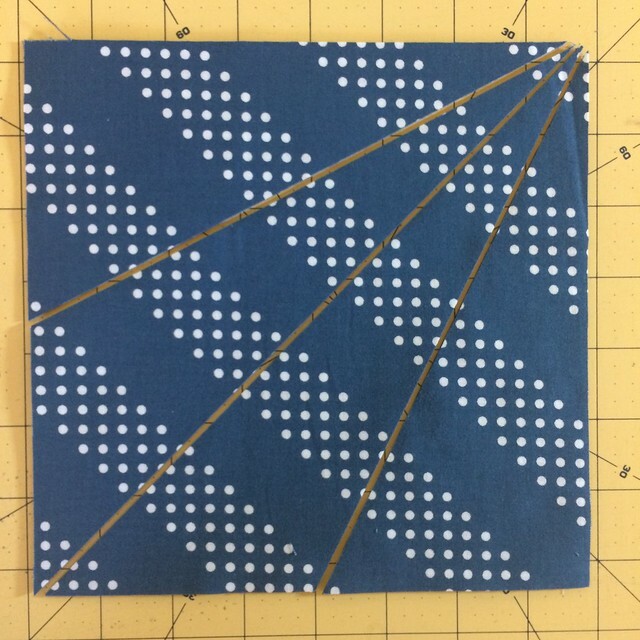 Mark a line on the diagonal and sew along this line. Trim and press open. 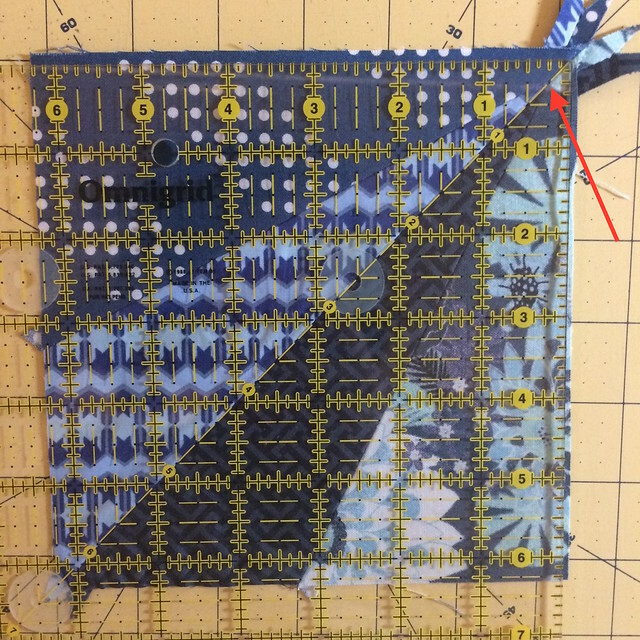 Sew in pairs to make this component. 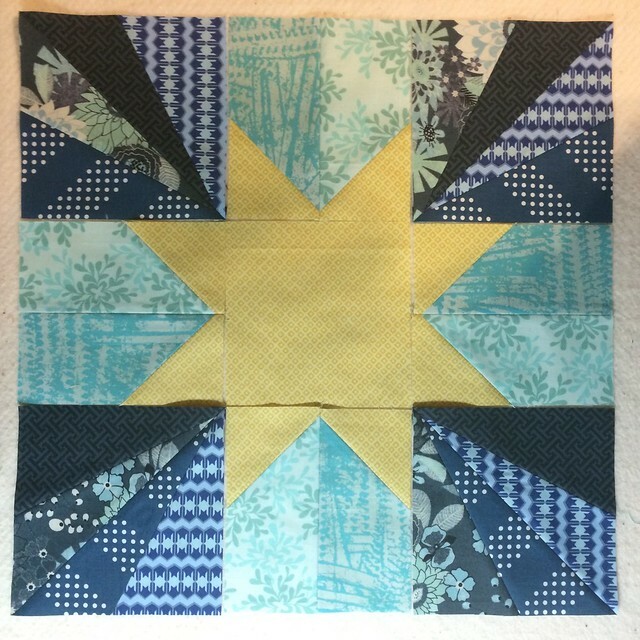 Layout the block for final assembly. At this point, I pressed my seams to the side to nest the seams. The block will finish at 16.5". This is the mock up for how all the blocks will look together! I love all the secondary patterns that appear. P.S. Some credit [though he would maintain most credit] goes to the husband for the naming of this block. The star points look like the Nova Prime fleet from Guardians of the Galaxy.